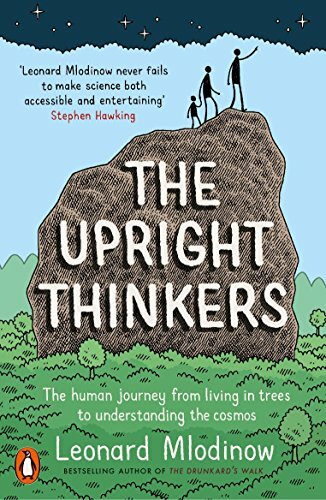 9780345804433 | Vintage Books, April 19, 2016, cover price $16.95 | also contains The Upright Thinkers: The Human Journey from Living in Trees to Understanding the Cosmos | About this edition: How did a near-extinct species, eking out a meager existence with stone axes, become the dominant power on earth, able to harness a knowledge of nature ranging from tiny atoms to the vast structures of the universe? 9780553551112 | Unabridged edition (Random House, May 5, 2015), cover price $45.00 | About this edition: A few million years ago, our ancestors came down from the trees and began to stand upright, freeing our hands to create tools and our minds to grapple with the world around us. 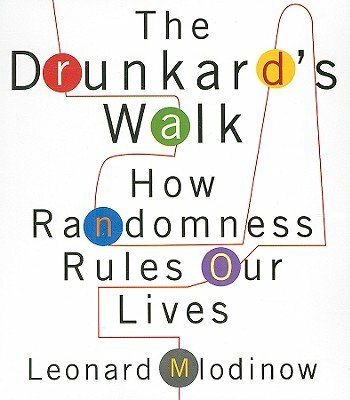 9780307378217 | 1 edition (Pantheon Books, April 24, 2012), cover price $26.95 | About this edition: Leonard Mlodinow, the best-selling author of The Drunkard’s Walk and coauthor of The Grand Design (with Stephen Hawking), gives us a startling and eye-opening examination of how the unconscious mind shapes our experience of the world and how, for instance, we often misperceive our relationships with family, friends, and business associates, misunderstand the reasons for our investment decisions, and misremember important events. 9780307472250 | Reprint edition (Vintage Books, February 12, 2013), cover price $15.00 | About this edition: From the bestselling author of The Drunkard’s Walk and coauthor of The Grand Design (with Stephen Hawking), a startling and eye-opening examination of how the unconscious mind shapes our experience of the world. 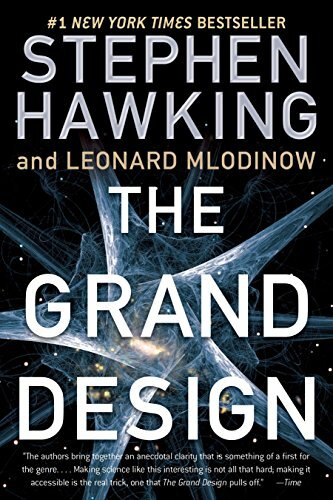 9780739383681 | Unabridged edition (Random House, April 24, 2012), cover price $30.00 | About this edition: Leonard Mlodinow, the best-selling author of The Drunkard’s Walk and coauthor of The Grand Design (with Stephen Hawking), gives us a startling and eye-opening examination of how the unconscious mind shapes our experience of the world and how, for instance, we often misperceive our relationships with family, friends, and business associates, misunderstand the reasons for our investment decisions, and misremember important events. 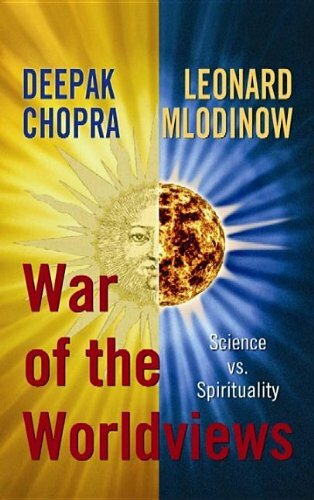 9780307886880 | Harmony Books, October 4, 2011, cover price $26.00 | About this edition: Two bestselling authors first met in a televised Caltech debate on “the future of God,” one an articulate advocate for spirituality, the other a prominent physicist. 9780307934253 | Unabridged edition (Random House, October 4, 2011), cover price $35.00 | About this edition: Two bestselling authors first met in a televised Caltech debate on “the future of God,” one an articulate advocate for spirituality, the other a prominent physicist. 9781611733204 | Large print edition (Center Point Pub, February 1, 2012), cover price $33.95 | About this edition: Two bestselling authors first met in a televised Caltech debate on “the future of God. 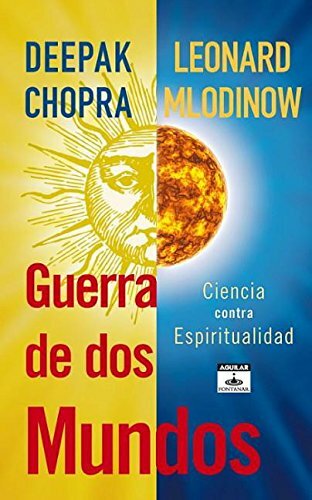 9780307886897 | Reprint edition (Harmony Books, October 2, 2012), cover price $16.00 | About this edition: Two bestselling authors first met in a televised Caltech debate on “the future of God,” one an articulate advocate for spirituality, the other a prominent physicist. 9786071116888 | Aguilar, August 30, 2012, cover price $18.99 | About this edition: Dos autores mundialmente exitosos se conocen durante un debate televisivo en la Universidad de Caltech; el tema: el futuro de Dios. 9780553805376 | Bantam Dell Pub Group, September 7, 2010, cover price $28.00 | About this edition: The first major work in nearly a decade by one of the world's great thinkers—a marvelously concise book with new answers to the ultimate questions of life: When and how did the universe begin? 9780553384666 | Reprint edition (Bantam Dell Pub Group, February 21, 2012), cover price $18.00 | also contains The Grand Design | About this edition: #1 NEW YORK TIMES BESTSELLERWhen and how did the universe begin? 9780739344262 | Unabridged edition (Random House, September 7, 2010), cover price $30.00 | About this edition: THE FIRST MAJOR WORK IN NEARLY A DECADE BY ONE OF THE WORLD’S GREAT THINKERS—A MARVELOUSLY CONCISE BOOK WITH NEW ANSWERS TO THE ULTIMATE QUESTIONS OF LIFE When and how did the universe begin? 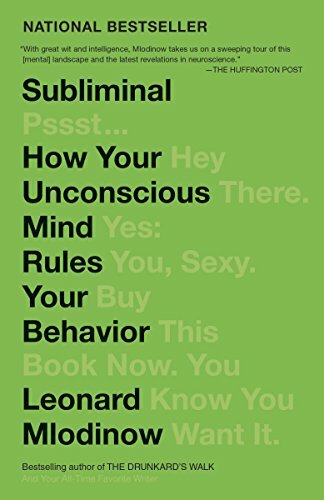 9781596592797 | Unabridged edition (Gildan Audio, June 1, 2009), cover price $39.98 | About this edition: In this irreverent and illuminating audiobook, acclaimed writer and scientist Leonard Mlodinow shows us how randomness, chance, and probability reveal a tremendous amount about our daily lives, and how we misunderstand the significance of everything from a casual conversation to a major financial setback. 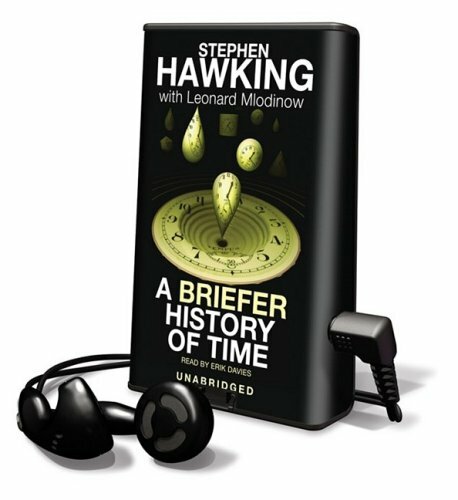 9780739374436 | Findaway World Llc, November 1, 2005, cover price $44.99 | About this edition: Stephen Hawkings worldwide bestseller, A Briefer History of Time, has been a landmark volume in scientific writing.